I was a DJ for about 8 years before I started producing music. "Digging in the crates" was all I did during that time and now I find it just as valuable today. "Digging in the crates" is what DJs call searching for a the next record to spin. Back before CDs, DJs had to literally dig in the milk crates housing their vinyl collection, searching for the next track. This practice was a necessity and I didn't think much of it back then. Now, I realize just how valuable this practice really was. A DJ has to develop a keen memory - having to remember the record, track number and tempo or songs to spin at live sets. Oh yeah! Then, there's the little factor of remembering which crate has the record! I developed some great research skills as a DJ. "Diggin' in the crates" helped me develop the mentality of "searching" for the next best thing in music. Now with the Internet, I do a lot of searching online with tools like Google and other search engines. Diggin' helped me develop the skill of digging for more info and more samples and more sounds. Along with a keen memory, I developed a keen sense of awareness. I knew where things were around me at all times. DJs don't just spin records, they keep track of time and control the crowd and prevent and handle technical difficulties - all of this usually in the dark. "Diggin'" helped me develop awareness of the physical location of things and it also helped me become aware that there is much more out there if I am willing to look. Today, I'm still "diggin'" - just not in the crates anymore. I use the skills I developed from this DJ practice to make some of the hottest music out there. Beyond that, I use these valuable skills in my day job as a Web Developer building websites (like this one and other corporate sites). 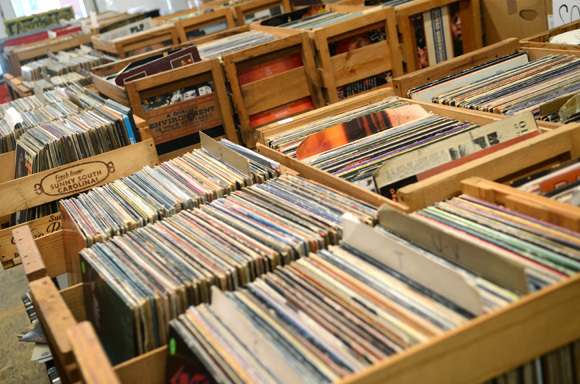 "Diggin' in the crates" - it's not just a saying, it's a way to develop some valuable skills.